New technologies - new opportunities! 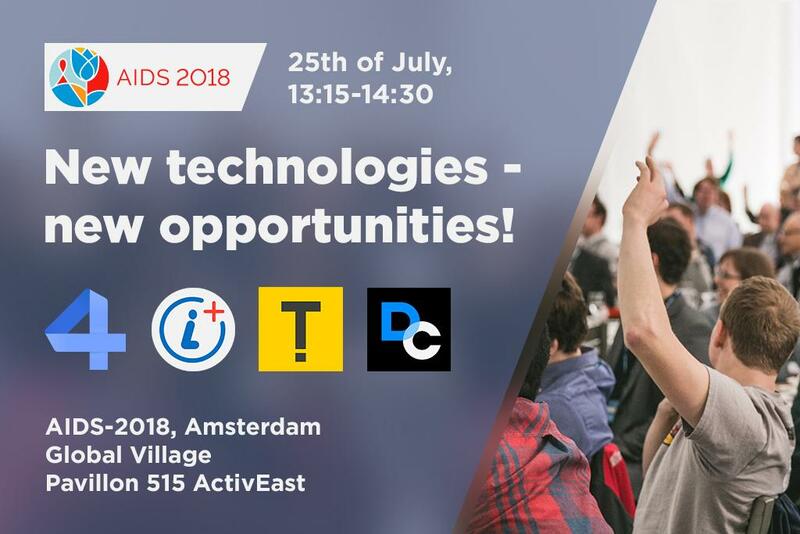 During the International AIDS conference AIDS 2018 in Amsterdam at the EECA region space in the Global Village, Life4me+ and its partners will hold an event about new HIV technologies in the EECA region. We will share experience in the development, implementation and use of mobile technologies, will talk about how to increase adherence and engagement, simplify the lives of patients and the work of doctors through new technologies, and how can you monitor how the funds donors give to the principal recipient (PR) will be used with the new DataCheck system. Much more at the EECA region space in Pavilion 515 ActivEast, Global Village, July 25, starting at 13:15. This event will take place in Russian. Please write into your schedule right now – July 25, 13:15 - 14:30 pm.